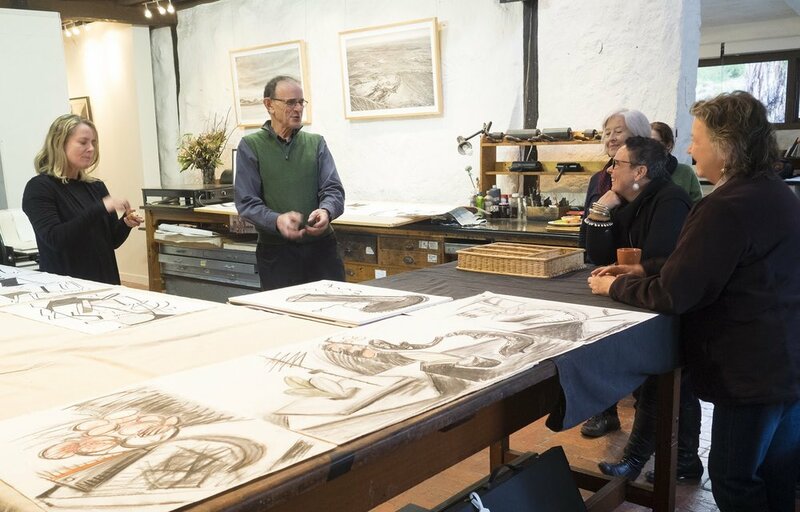 The Baldessin Press & Studio invites you to join esteemed artist Jock Clutterbuck for a weekend masterclass in the tranquil surrounds of the St Andrews bushland. Art is created from a sacred, special place in ones mind; drawing on the mind’s eye is a way to access that space. 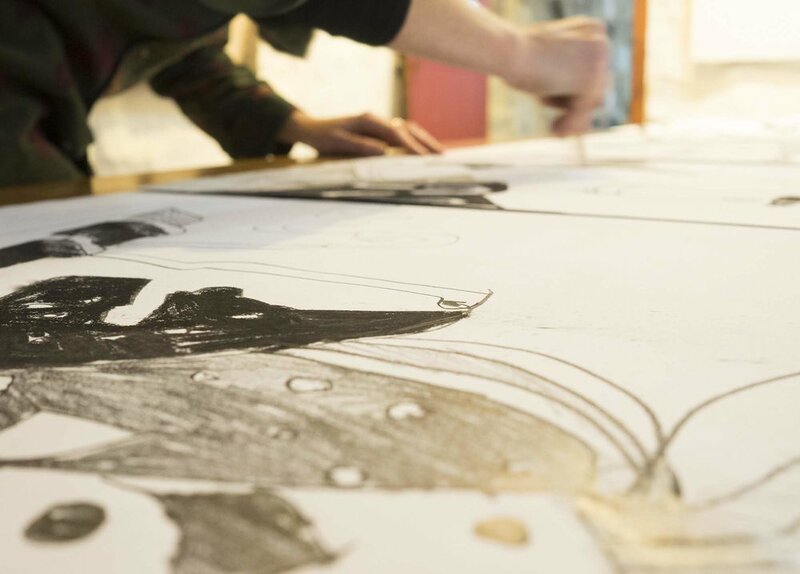 Learning how to see differently and powerfully is fundamental to what we do as Artists. Noticing our world, looking, and seeing, are integral in being able to choose or act from ourselves. It is a transition from one state to another. 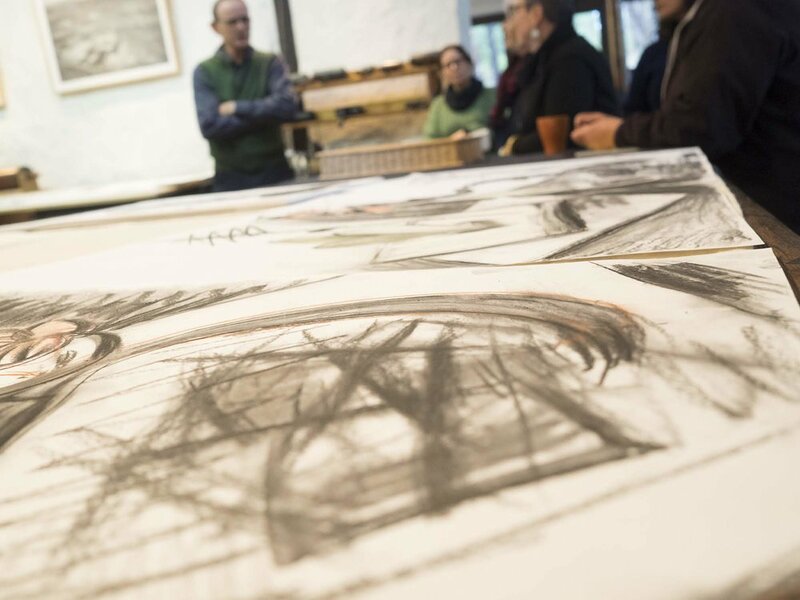 This program is designed to empower new looking and seeing as they relate to the broader parameters of drawing and Art making, and the implications of this for our enquiry into the Self. In our ordinary state we are addicted to the ordinariness and until we can really see this, nothing can change. Drawing on the mind’s eye provides a series of strategies to break down this addiction and open up access to a different world. 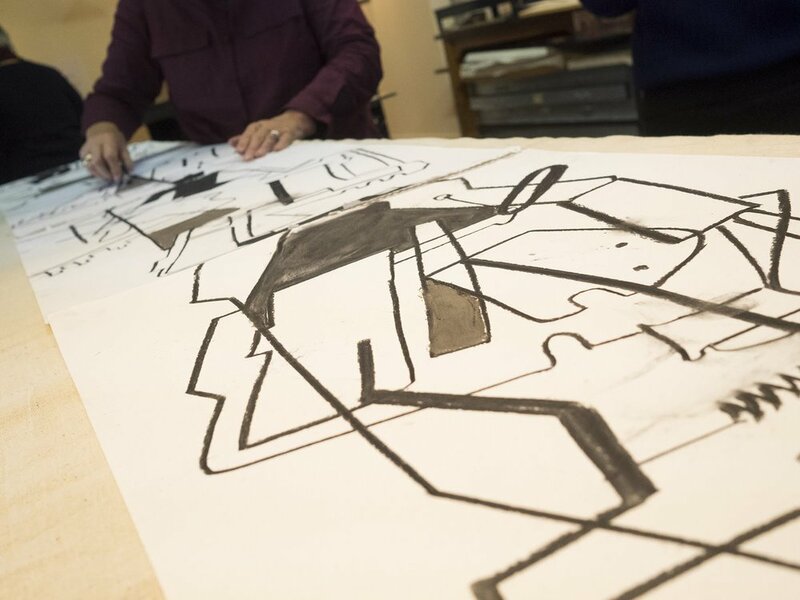 Jock Clutterbuck is a senior Australian sculptor and printmaker, practicing for over 50 years, whose work is represented by Australian Galleries and in collections around Australia, Europe, New Zealand, and America. Clutterbuck has maintained a deep interest in spiritual enquiry over the last 40 years, keeping in contact with the evolution of the new paradigm, organising conferences, workshops and curated exhibitions around the theme of the spiritual enquiry that is Art. 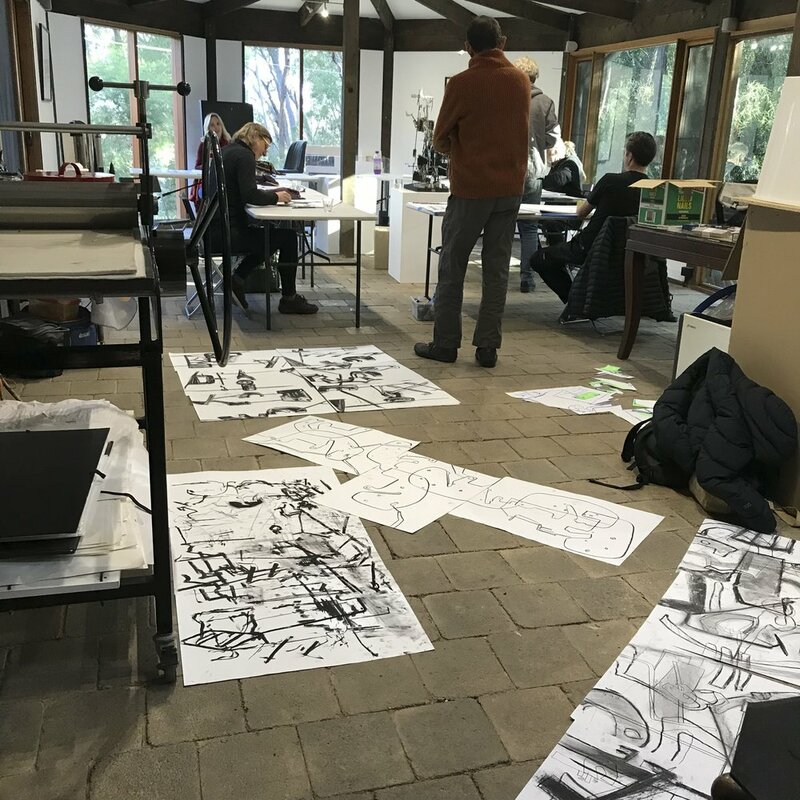 The practical component of this program looks at how we can build and develop visualisation skills from simple beginnings into useful results by learning to apply active and passive seeing to a drawing context. The theoretical component looks at the relationship of energies to creativity, how to appropriately manage finer energies and apply this to creative output. Many thanks for your enrolment. An invoice will shortly be sent to you for the workshop deposit of $100. Please email us to confirm your payment and include your name with your bank entry. Your deposit will confirm the workshop place. 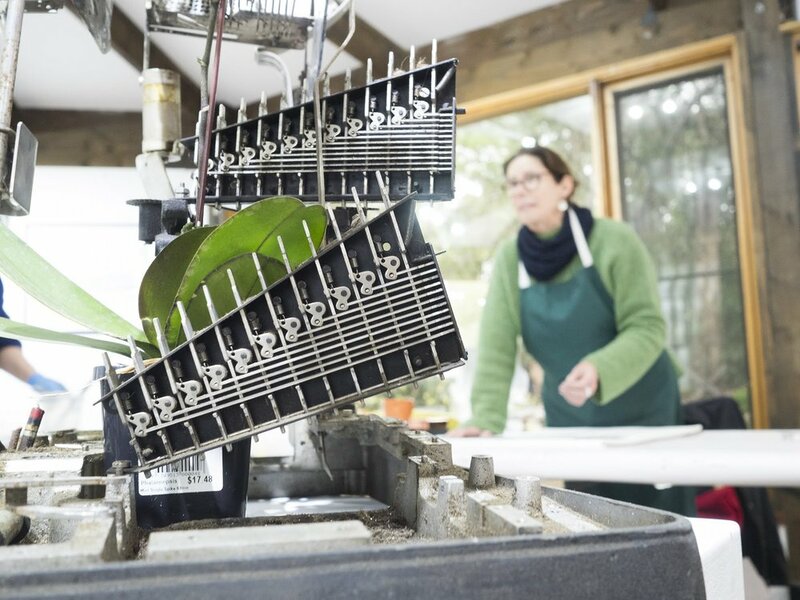 We will be sending out detailed information on what you need to bring and prepare closer to the workshop date. If you need on site accomodation, we will be in contact shortly with availability. It’s great to have you on board for this fantastic workshops, and we look forward to further contact soon.